Introducing Dave’s Derby! We are excited to announce pedal-sports are coming to the maze this fall! We’ve been thinking and planning all winter about what to bring to the maze next year. Go carts come to the maze! 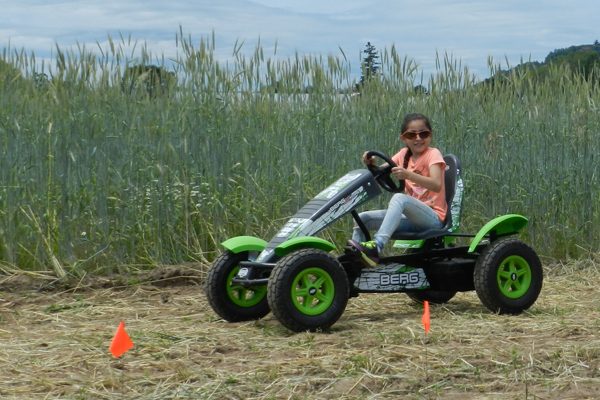 The person powered four wheel carts come in two sizes, so both adults and kids can take a ride around the track.